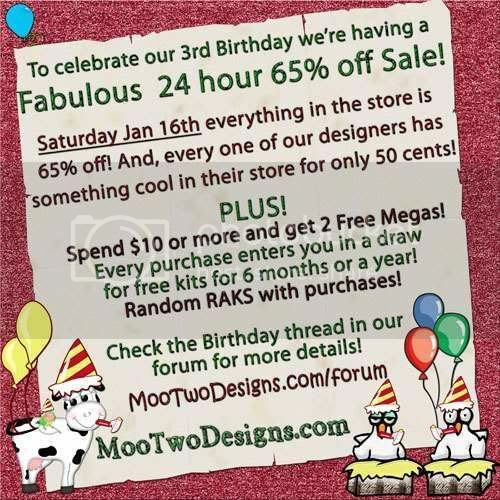 Woohoo – today is the big sale at Moo Two Designs! 65 % off – you’re not going to see a sale that big anytime soon again (until next year, LOL). But remember, it’s on for TODAY ONLY!!!! Don’t forget I gave you a COUPON in yesterday’s post so you can save even more!!! 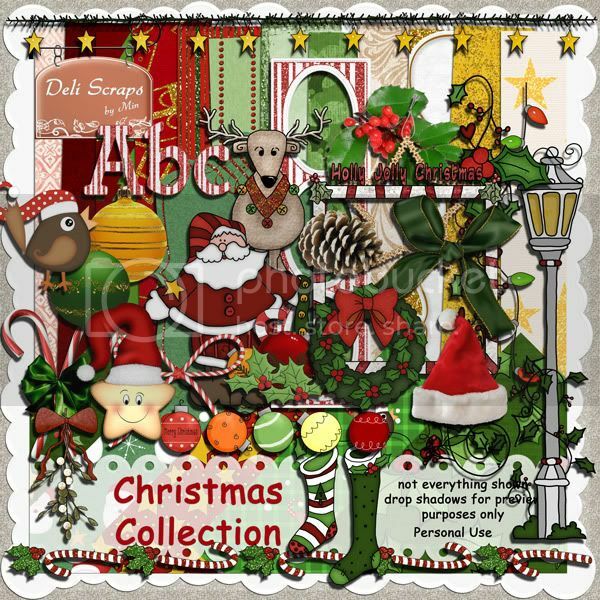 If you missed one or more parts of the Christmas Collection – today is your chance to pick up the whole kit for 50 cent at Moo Two Designs. (Today only!). Oh – and I would love to see what you did with the Christmas Collection! Leave the links in the comments or mail them to me (email addy is in the CT Call above)! Hope you have fun shopping and downloading (see above, LOL)! Thank you! Your blog post will be advertised on the CraftCrave DigiFree search engine today (look for timestamp: [17 Jan 03:16am GMT]). Thank you so much for this Freebie. 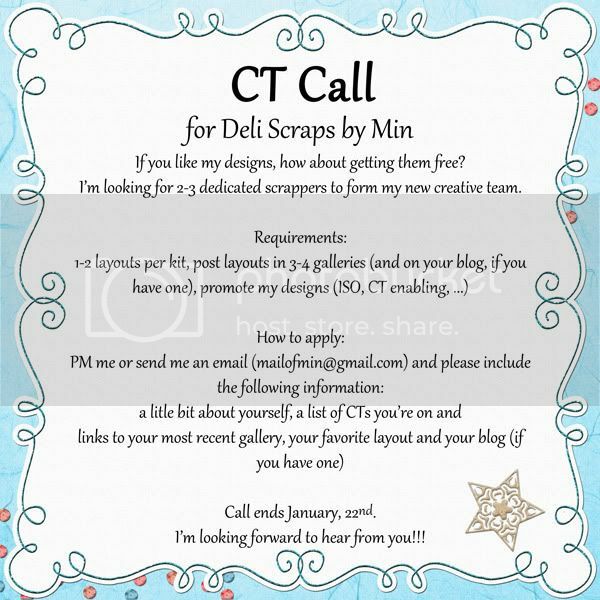 I want to let you know that I posted a link to your blog in CBH Digital Scrapbooking Freebies, under the Page 1 post on Jan. 17, 2010. Thanks again.